The left part includes list of resources (users, project groups, departments and etc.) and the right part shows the amount of tasks planned for a single period with colors (green, yellow, red). For instance, if one task is planned for a period, this period is shown as green one; if two tasks are planned – yellow; and more – red. This helps managers to edit the plan according to resource utilization. To see the list of tasks planned for a resource, use “+” button. 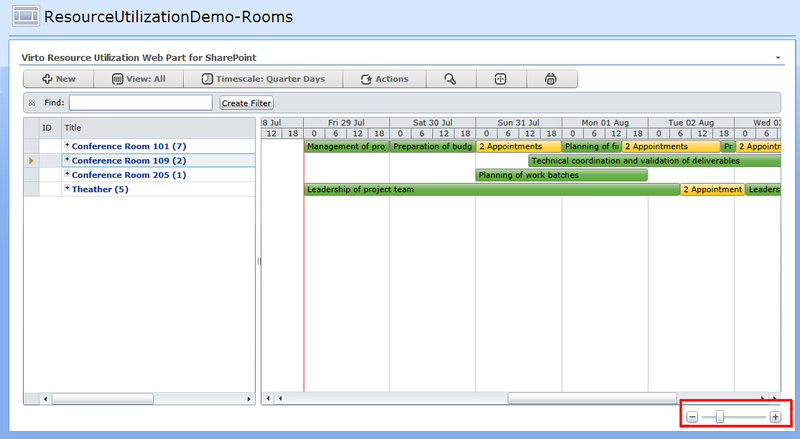 You can use zoom of Resource Management chart to change size of displayed tasks. Use navigation arrow buttons to go to required month. Or select a date to navigate to in the date picker. 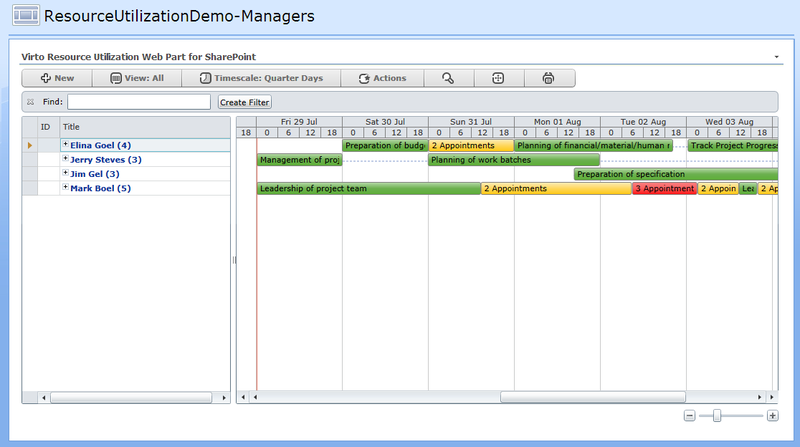 Virto Resource Management web part supports scrolling with mouse wheel in the Gantt chart, which is equivalent to pressing an arrow key or to clicking the arrow button on a scrollbar.